Since the beginning of the technological age, each new idea, innovation and invention has helped humans across nations usher in a new era of economic growth, changing the fundamentals of respective nations and their security. In this new era of Artificial Intelligence (AI) as well, the revolution and evolution of human ecosystems in cyberspace, geospace and space (CGS) are inevitable. So, as nations have already started feeling the impact of emerging Artificial Intelligence systems, the question is how will the AI trends define and determine the global trajectory in the coming years? It seems geopolitical factors will likely play a determining role in the process. As Artificial Intelligence gives its creator/developer the power to create and control conflict at all levels, the race for infrastructure, data and intelligence is on for economic and security supremacy. While no nations or any of its components (whether they be individuals, government, industries, organizations or academia) are in any way prepared for the ongoing revolution and evolution brought on due to the developing battlefield of Artificial Intelligence, the reality remains that the battlefield is already drawn. Players are already engaging their entire war arsenals (including all conventional war weapons: nuclear, biological, cyber and more) to fight the unknowns of this artificial intelligence battlefield. It is important to understand and evaluate who the players are on the artificial intelligence battlefield, what they control (conventional war weapons as well as AI embedded war weapons), and what the geopolitical implications are. For example the risks posed by the convergence of artificial intelligence with nuclear weapons (or any other war weapon) technology is a stark reminder of the already complex geopolitical scene getting worse due to the potential disruption in already delicate alliances. Historically wars have generally not been fought alone, and alliances have been the backbone of legitimacy for each war. AI is now changing that. 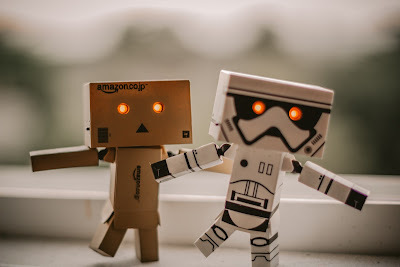 Artificial intelligence seems to have provided a spark to divide and disrupt the global alliances as we see with the stumbling of NATO and the EU (each nation seems to be on its own on its Artificial Intelligence journey). The historic alliance of the US and Europe is also strained at times and this is perhaps just the beginning.